The unique pattern by Maija Isola is one of Marimekko's best known designs. The solid variant does not show the pattern in its usual colorful nuances, but with sublime embossing. More delicate but no less charming, the floral pattern decorates the cotton towels with raised and recessed surfaces that results in a discreet design. In the usual Marimekko quality, the Unikko Solid guest towels impress with a soft cotton fiber, which absorbs moisture particularly well. In different colors, the bathroom textile is available with Solid Unikko pattern in three sizes as a hand towel, a guest towel or a bath towel. 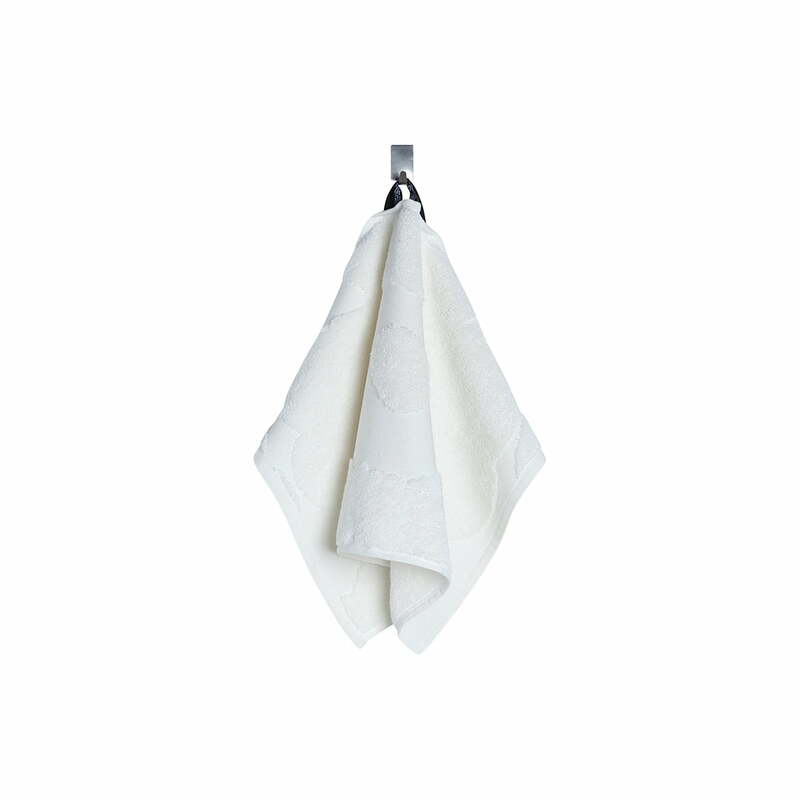 Single image of the guest towel with embossed Unikko design by the Finnish designer Maija Isola in white. A cuddly cotton towel in the size 30 x 50 cm.